If you own and use a Reverse Osmosis System—or anything for that matter—then inevitably you will need to clean it. We know this for a fact, but believe it or not, there are a lot of owners who do not know the steps on how to sanitize Reverse Osmosis Systems. Good thing we are going to cover them in this article. We will not only guide you through the process but give a few tips to get you fully equipped as well. A Reverse Osmosis System provides your home or office with purified water that is of the same quality as the bottled ones you buy in stores. It is convenient and easy to set up, too. As this is all about your drinking water, you really can’t afford to have it break down on you just because you weren’t able to keep it clean and sanitized, right? No, we don’t want that. So read on and educate yourself on how to clean this system to ensure that it works well and to make it last for a very long time. You may have owned a Reverse Osmosis System for quite some time, but you cannot be bothered with cleanup. It is significant not only to know how to sanitize your Reverse Osmosis Systems but also when to do the cleanups. 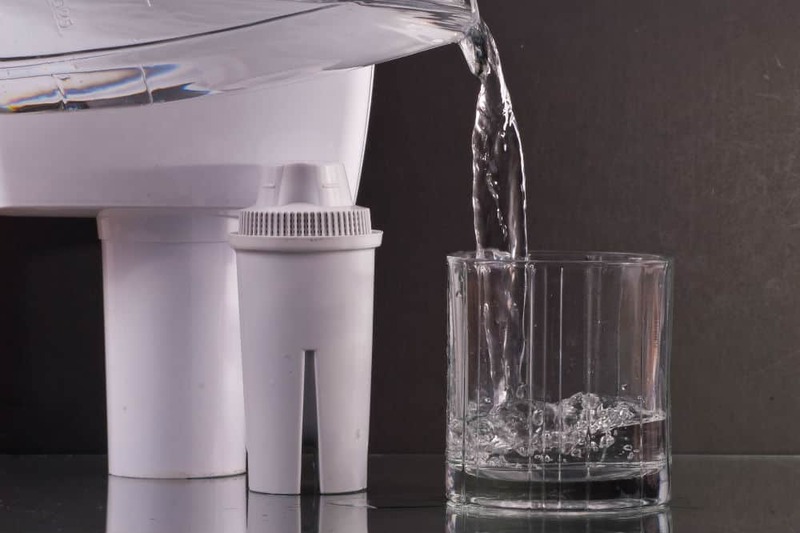 Typically, cleanups and sanitizing depend on how often you use your filtration system. As a rule of thumb, you should conduct regular cleanups every six to eight months. On the other hand, you should also schedule a cleanup when the water tastes weird or when you see any of the filtration membranes appear worn out. Noticing these small things can help you fix a problem before the problem gets bigger. soft water; this is used to clean the system and dilute chemical solutions. If you have these tools, you are ready to clean and sanitize your filtration system. Please keep in mind though that there can be additional tools and steps, and that those mentioned above are just the basic ones. Now that you are equipped with the basic knowledge and tools, it is time to start cleaning your filtration system. We have enumerated a step by step process to guide you, and enable you to do this on your own. 1. Turn off the supply of water, and ensure that the storage or tank is empty or drained. 2. Once you empty the tank, do not turn off the system. Just leave it running for a couple of minutes. Afterwards, you may now disassemble and remove the filter housings. Use clean water and run it through the system. 3. As chemicals for dilution vary per manufacturer, make sure you are using the right one for your system. All you need to do is to dilute the chemicals. Use it and run it through the system. Leave it for about an hour before you rinse off with clean water. 4. Now that you have dealt with the internal parts, it is time to clean the external housing. Use soap and water to clean the parts, and do not forget to rinse thoroughly. Also, check the parts like the O-rings to see if the condition is still good—if it is still bearable and it might need just a bit of lubrication. You may opt to use a water-based lubricant. Otherwise, you can consider replacing the defective parts depending on how severe the damage. 5. Filters may also need replacing. Assess and replace accordingly. 6. Once you are done with cleaning and rinsing, it is time to reassemble all the parts. Once finished, open the system to let water in. Wait until water trickles out, and close the faucet. Before using, make sure the storage tank is full then empty it again. Do this twice just to ensure that clean water will pass through without any problems. These steps will help you in learning how to sanitize Reverse Osmosis Systems. If you are still having trouble doing this, you can search online for videos that are easy to follow. Also, keep in mind that there are different styles and models of a Reverse Osmosis System. Thus, cleaning instructions and specific parts may vary depending on the model and manufacturer. When in doubt, always check the user manual and guide. You may also reach out to the product manufacturer to get recommendations on how to clean your system. If all else fails, then you may also look or employ the service of professionals. There are cleaners for hire who not only do cleaning but check-ups as well. This way you can make sure that your system is working properly, and there is nothing to worry about. Doing annual service and check-ups can prolong the service life of your Reverse Osmosis System. It is possible to use the system in a span of 10 to 15 years. In the end, a Reverse Osmosis System may be a hefty investment to make, but it would last for a very long time. This is true if you do regular cleanups and check your system from time to time. Learning to clean your system is a cost-efficient option. It may be difficult to start, but once you get the hang of it, you can do it even with one eye closed. Still, let us not forget the convenience of hiring a professional. Aside from making your life easier, hiring a professional will not only give you peace of mind, but they can also spot any troubles within your system. Their service can be expensive but worth it. Most manufacturers offer warranties and free services during the first few years of installation. Make use of their service, learn from them, and apply them on your own when the time comes. Overall, it is ultimately up to you to decide which route to take—whether it is hiring a professional or doing it yourself. What matters is that you get familiar with the needs of your Reverse Osmosis System, and learning how to sanitize it is a great first step to managing your system. Now you know how to sanitize reverse osmosis system.